The business model is a one-stop video production company specializing in the use of small drones with HD video capabilities to provide a unique perspective and aerial data acquisition to its clientele. Real Estate – Commercial & Residential, Developers, Surveyors, Property Managers, Hotels, Construction, Farmers, Home Owners, Resorts, Golf Courses. Business – Auto Dealers, Insurance, Golf Courses, Restaurants, Advertising Agencies, Architecture Firms, Manufacturing, Hospitals, hotels, Farming, Mining. Leisure – Vacation Destinations, Resorts, Golf Courses, Amusement Parks, State Parks, Campgrounds, Wineries, Sports Teams, Music Venues, Concert Halls. Please request more information below to learn about this cutting edge opportunity. As a BirdsiVideo franchise owner, you will not only receive focused start-up support, but valuable ongoing support as well. Comprehensive training includes UAS ("drone") systems, flight training, marketing and business development, FAA federal regulations, FAA Part 107 exam training and applications of new research and development techniques. We will also help you locate and hire drone pilots/operators as well. Our team recognizes the immense opportunities that lie ahead for the drone industry, and we want you to share in that excitement. As a BirdsiVideo franchisee you will receive extensive start up training in all aspects, including aviation ground school, flight training, video editing, advanced business applications (photogrammetry, 3D modeling, mapping, etc.) and more. 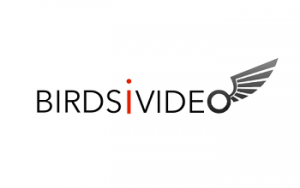 You will be able to operate under the established BirdsiVideo name, plus utilize our website and extensive library of videos and past deliverables for marketing purposes. Leads are provided, as well as participation in any national service contracts that may be in place (not guaranteed in every territory). Prior to offering you a franchise in any of the following states, BirdsiVideo must complete the state's required filing process before any details can be provided to you for consideration: CT, FL, IN, KY, MI, NB, TX, UT, WI, CA, HI, IL, MD, MN, NY, ND, RI, SD, VA, WA.